Liam Coen returns to LaSalle HS for his first football camp. The Salt Lake Tribune ranks in-state schools games for the 2018 season and BYU at UMass is one of the higher ranked ones. Like UMass, the Cougars are looking at some changes to their kicking game. Meanwhile at Liberty, their $40 million dollar stadium upgrade is continuing. Like UMass did in 2012, the Flames are not playing a "transitional" schedule in their first FBS year. 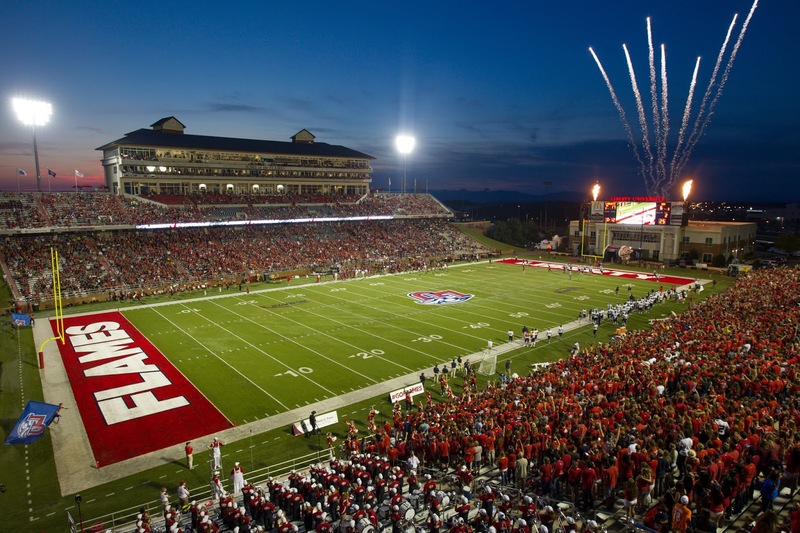 Liberty jumps straight from a Big South schedule with one FBS game to playing Norfolk State and eleven FBS teams including Auburn, Virginia and New Mexico. 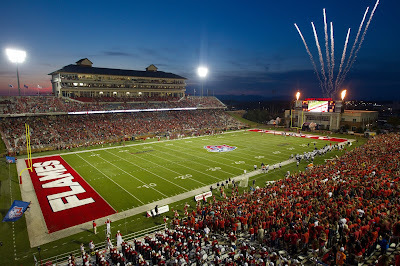 The Flames gave up 448.5 yards/game last year in the Big South, so Liberty's 2018 season could be rough. Liberty did beat Baylor at Baylor last year, but also lost to St. Francis, Kennesaw State and Monmouth. Don't expect the Flames to stay down long though. They have tons of money and they're spending it to get better. Highlights of the Flames victory over Baylor. Someone mentioned in the other blog that New Balance has their name on an arena at Univ. of Maine and they also have a football bubble.New Balance is a Massachusetts company and should have a little allegiance to our state no matter what college the CEO might have attended. It really seems that our departments of "outreach" have not achieved much success in attracting corporate sponsorship in the rich and fertile business environment of Massachusetts. Have to conclude they are not trying hard enough! That must change or changes must be made. The UMASS AMHERST department has been a mess. Bamford is a one man show. He needs new blood around him. 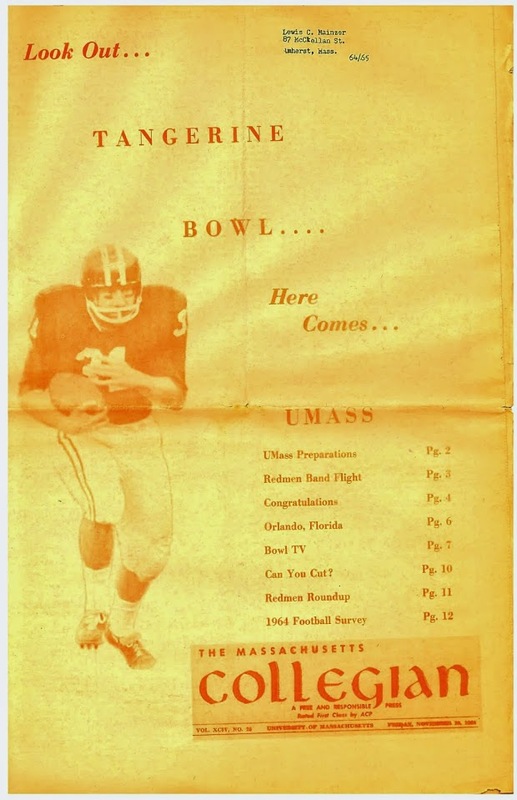 Just look at corporate sponsors-Umass dining, UMass hotel, UMass store, bad. Move to fannies in the seats, and football is worse than Don Brown years, and got worse the last two years. Football will be a case study on how to continuously screw things up, like parking. Basketball-awful, hockey saw more students, but few cash paying customers. The department has poor strategy and execution. Results don’t lie. Parking is a nightmare at any stadium. You have to take a shuttle from outside Boston to get to BC stadium. UConn's stadium is in Hartford etc. The whole stadium issue with UMass comes down to attendance, and that depends on wins. As I've said before wins will change everything. Continued losing seasons will also change everything . Exactly, UMass makes it hard to park, for the 7500 who go. It is easier figuring out a rubics cube than to park at an empty stadium at UMass. But i guess that is why it’s called UMass.